ASTM F410 testing standards require the use of a specific type of microscope to measure wear layer thickness of resilient floor coverings. This optical measurement is perfected with a compound microscope that follows ASTM F410 testing guidelines. Microscope World has a testing microscope that meets ASTM F410 standard test methods for wear layer testing of floor tiles. 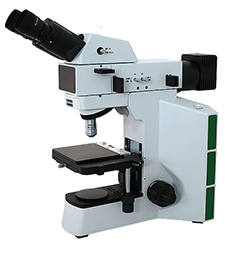 This ASTM F410 microscope is available as a binocular microscope or as a digital microscope with a 5 megapixel camera for image capture, including software for making measurements. 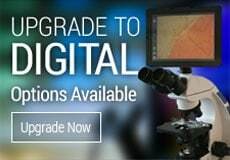 The compound measuring microscope provides the required magnification by ASTM F410 standards to measure wear layer thickness of resilient floor coverings. A NIST certified stage micrometer is supplied along with certification documents, as well as an eyepiece micrometer that meets standards required for meeting all measuring guidelines. The microscope has near vertical illumination to illuminate the sample properly. A holder is supplied for holding the floor specimen so that the cut edge can be perpendicular to the optical axis of the microscope. 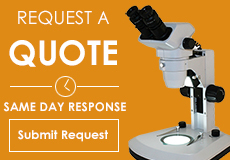 View the ASTM F410 microscope here or contact Microscope World with questions.